Origin by Porte Development at UniverCity is the latest announced residential offering atop Burnaby Mountain. This exciting new development will be one of the first of its kind in North America as it will adhere to some of the most stringent sustainability regulations to date. Efforts have been made by SFU Community Trust & the City of Burnaby in cooperation with the building community to ensure that all new projects in the UniverCity area will be 30 percent more efficient then existing developments. Origin is also SFU Community Trust’s first announced project for its third phase of growth. Origin is designed by GBL Architect & BYU Interior Designs, developed by Porte Development Corp. and marketed by Red Dot Real Estate. It will be situated to ensure the views from almost every residence will not disappoint. Located across from the soon-to-be-opened University Highland Elementary school and beside recently launched Nesters Market, convenience is something Origin will not lack. Units will start in the low $200,000 and will range from 1, 2 & 3 bedroom units to top floor 2 level loft style homes. Features include: energy efficient appliances, hardwood floors and quality cabinets and finishings are aspects that will surely attract the most discerning of consumers. With only 75 units this will be a smaller development for the UniverCity area and given the appeal the community has to offer these units will not last. 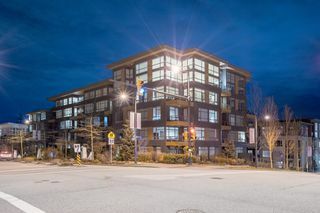 Sales are expected to start sometime this summer and completion is anticipated to be in the 1st quarter of 2012. Please Cick Here to download the Origin Brouchure. 111 9150 UNIVERSITY HIGH Street Burnaby V5A 0C5 : Simon Fraser Univer. 313 9150 UNIVERSITY HIGH Street Burnaby V5A 0C5 : Simon Fraser Univer. 404 9150 UNIVERSITY HIGH Street Burnaby V5A 0C5 : Simon Fraser Univer.